The South China Morning Post reports that a 20,000-member Hong Kong police union has demanded a law be passed to exempt officers from criminal liability for actions taken during enforcement duties, saying members of the city’s judiciary do not have enough professional knowledge to judge use of force. 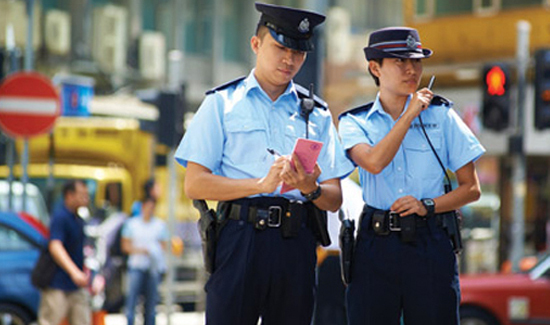 The issue has blown wide open after a three-month sentence was handed down to a Hong Kong police superintendent, a move that has the rank and file up in arms. Other officers said the courts failed to look at the situation from an officer’s perspective and did not understand the huge pressure officers shouldered in a split—but critical—second. The South China Morning Post reports that Joe Chan Cho-kwong, chairman of the Junior Police Officers’ Association, which represents two-thirds of the force, further clarified his appeals after the union demanded an emergency meeting with the city’s civil service and security chiefs to discuss how to strengthen protection for front line law enforcers. “I am just a tool at work. I obey orders and execute commands. If I execute [duties] correctly, why should I bear criminal liability for what I have done? This is unfair,” Chan told the Post, explaining how the sentence imposed on former superintendent Frankly Chu pushed the association to voice its concerns. He called for an amendment to the Police Force Ordinance—the law related to the police—so that officers could be protected from any criminal liability if they were correctly executing commands. Chu’s recent three-month jail sentence for hitting a bystander with a baton during the 2014 Occupy protests caused uproar and deep resentment among police unions, prompting the force’s top brass to swing into full damage control mode to boost morale among frustrated officers. Chan wrote to all union members over the weekend warning of a “morale crisis” brewing in the ranks. He also appealed for amendments to the law, regulations and guidelines to fit changes in society. According to the Force Procedures Manual on the use of force and firearms obtained by the Post, there were a number of levels of control under six different levels of resistance. But it stated that the considerations were provided for reference only and that officers on the ground “should exercise their own discretion” to determine what level of force was justified in a given situation. “Officers will be accountable for their own actions,” the document read.